OKOTA is thrilled to feature this guest post from Honeyfund! You may have seen them on Shark Tank a few years ago, and since they've grown an outstanding business offering couples the option to forego a traditional wedding registry and instead start a fund for their honeymoon. I know several couples who have used and loved their services and we're so excited to have them on the blog today! As 2017 nears its grand finale, the trends for the weddings of 2018 are presenting themselves. Brides are vamping up old style charm with a new day chic. The result is a breathtakingly beautiful and exciting year to be a bride. We are seeing two main themes in the upcoming weddings for 2018. Brides who are seeking extreme elegance are going with vintage formal. Cathedral weddings, Victorian Mansion weddings, and wedding in formal halls are being decorated in vintage style. This bride is wearing a gown of ivory or champagne. Her dress is A-lined and has yards of lace, embellished with pearls. In lieu of a veil, she is wearing arrangements of greenery and bold blooms. Her bridesmaids are wearing shades of deep blue and dusty rose or deep red blooms. The next trend is the barn wedding, but with a new twist. The barn is the right level of shabby, but the decor is anything but. Rows of tables are covered in fine linen, The candle holders, dishes, and vases are a combination of marble with copper cups and eating utensils. The bride is wearing white, with tiers of lace and a wedding cape or shawl. Her bridesmaids are wearing sage green and gray, or blush pink. Flowers are bouquets of wildflowers tied with lace bows. Boots are a great addition to the above the knee bridesmaid dress. 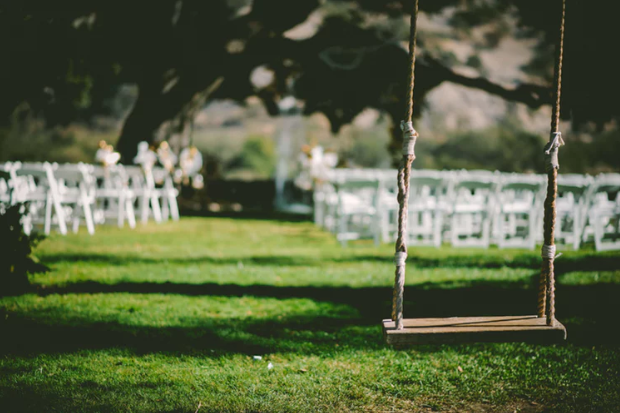 To add another twist to the barn wedding, the actual ceremony takes place on the grounds outside the barn. Church pews are rented for guest to sit in the “chapel” grounds. The pulpit under a frame where branches and vines intertwine. Brides are going with a natural look. They are styling their hair with flowing curls or in a simple and soft updo. Great care is taken in the quest for the right manicure. Natural beauty is the statement these brides are making. Using honeymoon registries such as Honeyfund has become the norm for today's bride. However, you may see unique line items in modern weddings. More brides are adding donations to charity or donations to going green projects. This gives the gift giver the option of giving them a gift or making a contribution to an organization that means a lot to them. The bride choosing a formal wedding is still serving traditional wedding cake. However, the bride going with the rustic charm wedding is going to the more modern selections of Cookie Bars, Donut Bars, or Candy Buffets. These are beautiful and fun ways to serve your guests. They are less expensive, and everyone gets their favorite. Don’t forget the goodie bags so leftovers leave with the guests. A fun addition is a barrel filled with your specialty punch or hard lemonade, complete with a ladle for dipping and dixie cups for the guests. The elegant formal wedding is bringing back a romantic tradition. Guest will mingle to the sound of a beautiful harp. There will be a dance floor and the music will be more classical. The modern barn wedding will have a wooden dance floor and a live DJ to play (usually) country music. As the evening winds down other selections can be played as well. As the new year shapes up, we expect to see more twists and turns for weddings. We can’t wait to see how this all comes together. There is one certainty. No matter where your wedding falls between these two extremes, it is sure to be perfect for you. That is what makes it beautiful.